The texts focus on preschool-aged children, children in kindergarten through grade two, children in grades three through six, and teenagers.Each curriculum contains ten ninety-minute sessions that should be implemented over a period of ten weeks. 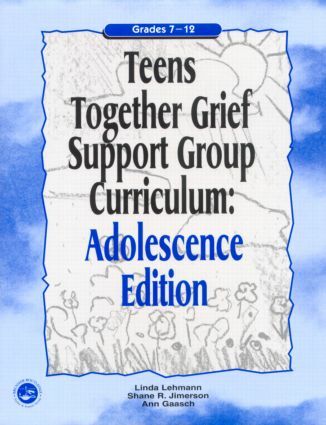 By employing age-appropriate themes to engage the child and provide continuity throughout the sessions, the division of material within the curricula assures that the activities reflect the developmental level of the grieving child or adolescent. Each person grieves differently, and Grief Support Group Curriculum addresses the issues related to mourning while recognizing the importance of individuality in grieving.